Rains encircling Mumbai....11.25 pm IST Saturday 6th June..
As mentioned in yesterday's post, South West Monsoon has advanced into Kerala and parts of Tamil Nadu, with the Northern limit of Salem city getting 7 cms of rain. In Lakshadweep, Agathi 52.6 mms and Mincoy 52.5 mms. Monsoon likely to advance into Coastal and South Interior Karnataka and Southern AP in the next 2 days. AS-1 prevails as a low in the Arabian Sea, at 11N and 67.6E and is expected to track N/NW next 24-36 hrs, and deepen from the current estimated core of 1002/1004 mb to 1000 mb. Currently in warm waters at 31c, after crossing 15N, it may run into competitively cooler waters at 29c, and then again NW into waters at 28c. Consequently, it may stagger at Well Marked Low or Depression Stage around North Arabian Sea and dissipate as a system by the 9th before hitting Land. We see very low rainfall amounts for Goa (5 - 10 mms) this weekend. But as the Monsoon advances around 9th, we see a substantial increase in rains from Tuesday, and could accumulate 45-50 mms in 3 days from Tuesday. Hyderabad remains hot at 40c, but moderate /good thunder showers expected on Sunday night. Mumbai Received light pre monsoon rains in many areas on Friday 5th. Colaba and vagaries measured 1.2 mms. Saturday will be cloudy. Showers expected by afternoon evening. Many areas will get moderate thunder showers in the evening. Rainfall amount may be around 5-10 mms on Saturday. Sunday will be cloudy with some showers during the day. Evening may get some moderate rains with thunder. Rain amount maybe around 15-20 mms on Sunday. Congrats on getting right both the Monsoon onset over Kerala and first rain over Mumbai so many days in advance. You are far better than IMD and so many other big weather websites. Deserve more recognition in mainstream media. Will the rain in Mumbai to increase from Sunday onwards? In April and May , bangalore recorded 44 cms of rain as against 18 cms normally. So we have almost got 45% of yearly rain in summer. SVT: Thanks...Recognition and contributions from all of you Vagarians is good enough for me. Our team functions smoothly on mutual exchanges. Since the system was embedded in the trough, sometimes it becomes difficult to exactly locate the central core. Vagaries mentioned it as a Low (AS-1) earlier, on the estimation of the convergence of the trough. 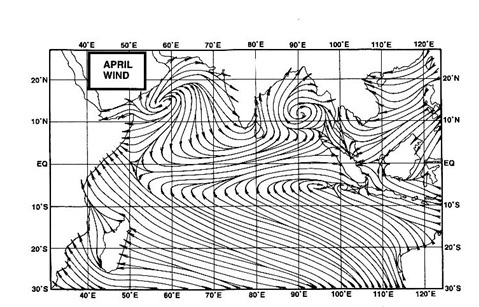 And IMD announced it when the extreme point of trough formed an estimated circular formation...both would be correct. Current Low estimated at 12N and 67E..
Is there any rain hope for arround Kolkata Specially for Chandannagar Dist-hooghly? Sir , some weather models are showing Arabian sea low will give rains upto sindh in Pakistan and Rajasthan, sir your view . Will it effect seasonal low ? Sir, When Pune can expect pre monsoon showers? On Friday morning there was drizzle. Atul: Pune will get showers on almost daily basis, at least in the vicinity. Next week will see a total of about 50 mms cumulative. Anoop: I dont think AS-1 will bring rains to Sindh.Seasonal Low will not be effected, but Arabian Sea winds will be disturbed. Abhijit Banerjee: Sorry, no rains for Kolkata till 13th/14th atleast. Infact temperatures crossing 40c on 11th/12th. We in mumbai didn't receive much rain yesterday and since morning also its sunny. Are we expect some rains in evening. Raining heavy in "Navi Mumbai" - Arabian sea low has hastened monsoon !! !